Our hosting is more than just space on a server. Our packages include support and services from real professionals, that want to help you succeed! Fill out the form, and we’ll create a new account for you, and send you the login credentials. 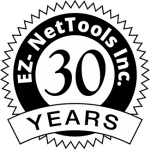 © 2019 EZ-NetTools.com. All Rights Reserved. Designed by: Us of course!